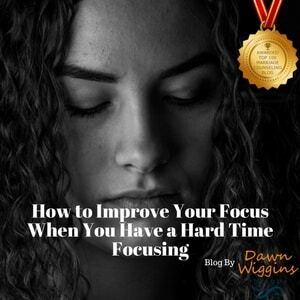 How to improve your focus and find hidden strength? I was working on my headstand in yoga this week. Actually, I work on my headstand every week lol. When it comes to my yoga practice, I have confidence in my flexibility and balance. I don’t feel very confident when it comes to my physical strength. If I can’t hit or hold a particular pose, I tend to default to the belief that I’m not strong enough yet. My yoga instructor gave me a suggestion the week before. A specific way to build strength to hit my headstand. I practiced a bit during the week and could tell I was progressing. It felt really exciting. At the time of my next lesson, he gave me an instruction and I wasn’t able to do it. I immediately said to him “it’s not available”. AKA – I can’t. He told me that my center of gravity was slightly off and that I needed to realign my body. It was a micro adjustment really. He insisted I do it again. He assisted me, helping me find center and voila! My feet were pointing to the sky!!! He was very insistent that I DO have the strength, my issue was balance or alignment. Now I get also to practice shifting the belief I’m not strong enough. So often this is the exact thing I help people with in therapy. Therapy isn’t just about solving problems. It’s also pointing out your hidden strengths that you may not know are there! We all have so much more available to us than we realize. Sometimes we need some assistance realizing our potential. In yoga, we talk about finding our edge. The place we can push to in order to grow – but without injuring ourselves. With an assist from my yoga instructor, I was able to push past my edge – with no injury! It’s the same in therapy. The supportive and collaborative nature of the process helps clients reach new heights of awareness, self-esteem and empowerment. If you’ve ever judged therapy to be for the sick, broken and crazy; consider this an invitation to find a new perspective. As a therapist I’m here to support you in blowing your own mind! With some practice and strategic assistance, you get to breakthrough limiting beliefs by finding your hidden strengths.